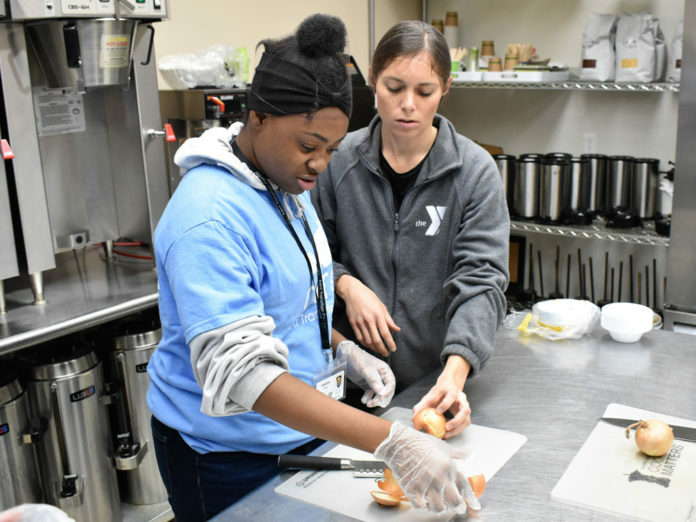 Like most young adults, the 11 students attending a “Cooking Matters” class at the Visser Family YMCA knew what snacks and treats could be found in their refrigerators and cupboards. 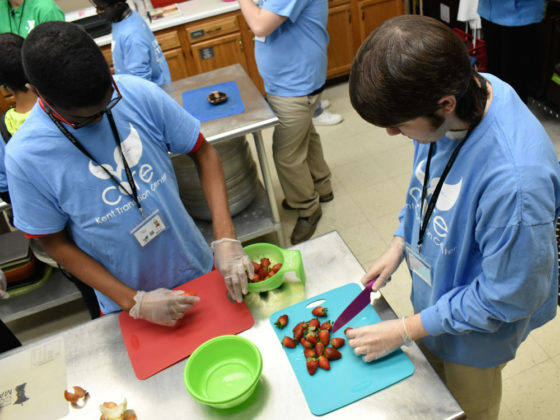 They also know how to stock them with healthy food they can prepare themselves, thanks to the six-week class presented through the Kent Transition Center’s CORE Program for students with disabilities. The program is designed to meet the needs of Kent County’s secondary students that are not yet ready for independent, competitive employment, which is an enrollment requirement. In the “Cooking Matters” class, each participant learns valuable cooking skills, budgeting and nutrition information focusing on the importance of eating more fruits and vegetables, said instructor Michael Spagnuolo. 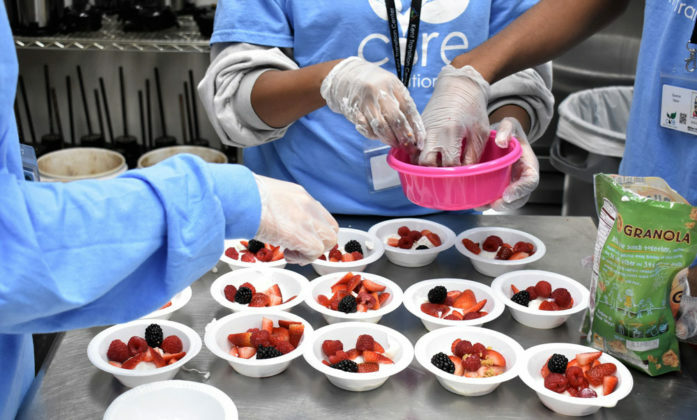 “The students are being empowered to have the ability to safely cook healthy meals and consume the proper nutrition to stay healthy and decrease absences,” he said. 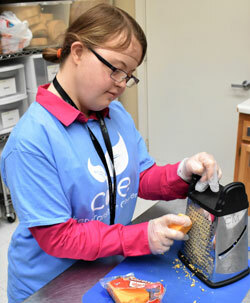 After each class, students are given the ingredients necessary to cook the recipe at home. 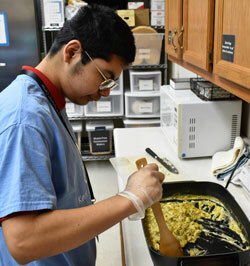 “People eating healthy tend to have long life spans,” said Carson Ball, one of the students who learned how to make a frittata and fruit parfait during a recent 90-minute class. At the third class, students learned how to chop fresh vegetables, grate cheese, break eggs and add spices to their creations. They also learned how clean and cut up fruit for parfait, which rounded out the five food groups that morning. In earlier classes, they learned how to make tacos with ground turkey and to stir-fry meals. The early lessons stressed safety around the knives and hot surfaces that are used to prepare food. Students learned to use sharp utensils with play-dough before they cut into the real food items. 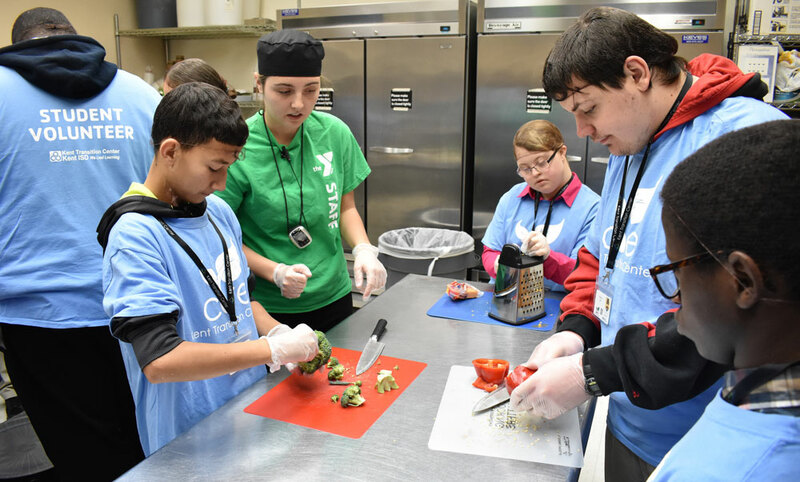 Tessa Kwant, a nutrition educator with the YMCA, told the students a healthy homemade diet is less costly. She also teaches the importance of creating grocery lists and sticking to them, in order to keep the costs down and junk food out of the grocery cart. For some students, the ability to cook and prepare meals may result in a career opportunity, he said.